A teenager, who cannot be named for legal reasons, sent an indecent and offensive message to a person which related to their disability and also to their family. 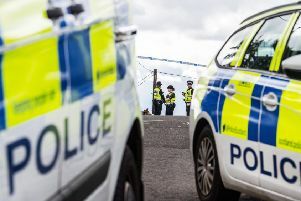 The 17-year-old from Falkirk admitted the offence he committed at an address in Bo’ness on July 15 last year. Sheriff John Mundy admonished the teenager for the offence on this occasion.